Learn more about Manhattan Review’s GMAT Prep and GRE Prep options or read more Manhattan Review articles on BTG. Studying, preparing and taking the GMAT can be a very stressful experience. It’s no surprise that accompanied with this exam is a lot of pressure, the weight of which can be felt studying and taking practice tests. Most business schools require you take the test and naturally, you want to do your very best. 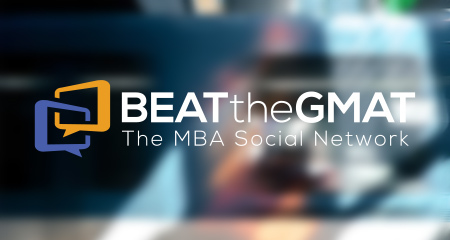 The GMAT is a powerful beginning marker in your MBA journey and along with it come some pretty high stakes. Yes, you want to take this exam seriously, but no, you don’t want to have heart palpitations. Preparing for the GMAT requires concerted effort and determination, but not a handful of panic attacks. Here are some great ways to take away the tension as it relates to studying for the GMAT. After all, we’re aiming for a high score, not high anxiety! No one wants any surprises on test day. Ideally, you are 100% familiar with the test, its sections, scoring, question types and a sense of your own pace. Familiarity is key, as it will help you glide through the 3.5 hours it takes to take the GMAT confidently. Know where the test center is, know what to expect on the exam and know when you sit down to take it that you must trust everything you know to get you through. Having an awareness of what awaits you come test day is vital to eradicate apprehension. Lay everything out the night before and get to bed early. You clearly don’t want to take the GMAT exhausted or under slept. Give yourself enough time to get the sleep you need, but also be sure to wake up well in advance to get yourself acclimated and fully alert. Employing some deep breathing techniques during your 3.5 hours admist the exam will prove to be very useful in eliminating concern and nervousness. Keep your feet planted firmly on the floor and inhale and exhale deeply, repeating this several times. Deep breathing helps to stop erratic thoughts dead in their tracks and you to regain focus and concentration. Cramming at the last minute will only increase your anxiety. 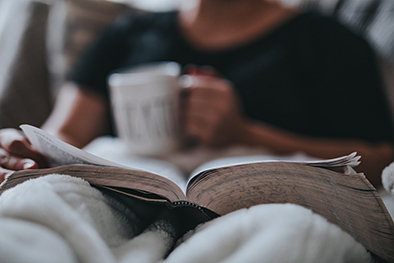 Establish smart and consistent study habits months before you walk into the test center doors on exam day, whether it’s setting aside some GMAT prep time on weekends or several mornings before work. Cramming a week or two before will jumble your mind and further attribute to GMAT unease. Being positive about your abilities to do well on the test are paramount for GMAT success. Focus on your strengths throughout the course of your study and remember them when you sit down on exam day. Remember – taking the GMAT is a beginning step to a rewarding and hopefully lucrative career, so keep in mind all the good opportunities in store for you down the line as a result of getting the best score you can. Unfortunately, there is no pill out there that will alleviate your GMAT angst or fear. (Not that we know of, anyway!) But being prepared and keeping your mind focused on the task at hand will help ease those negative emotions, hopefully giving way to a positive GMAT experience. You want to improve your GMAT Score? Check out the new and free GMAT Practice Questions on the Manhattan Review website! Manhattan Review is a multi-national boutique test prep firm. Founded in 1999 by Dr. Joern Meissner, an internationally renowned business school professor, Manhattan Review is the oldest test prep company of its kind in New York City. Manhattan Review operates in many cities in the United States and select major cities around the world, including Riyadh and Kuala Lumpur. For more information, please visit our webpage. If you liked this article, let Manhattan Review know by clicking Like. The author Manhattan Review gets email notifications for all questions or replies to this post.